Watching Donaire vs. Rigondeaux made me appreciate Floyd Mayweather Jr.
By Jorge Conejo Guillermo Rigondeaux beat Nonito Donaire on points in one of the most boring displays of boxing I've ever witnessed. Whatever Rigondeaux did he made 100 percent sure that he would only throw punches once and a while and move away quickly. Nonito Donaire pushed the action but focused on landing a knockout punch, a big no no against a slick mover like … [Read more...] about Watching Donaire vs. Rigondeaux made me appreciate Floyd Mayweather Jr.
Victor Ortiz Could Beat Mayweather Before Pacquiao! By Jorge Conejo There are some mixed feelings coming from boxing fans regarding Floyd Mayweather's decision to return against a green champion like Victor Ortiz instead of fighting Manny Pacquiao in the fight everyone wants to see. 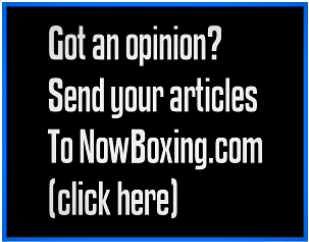 … [Read more...] about Victor Ortiz Could Beat Mayweather Before Pacquiao!